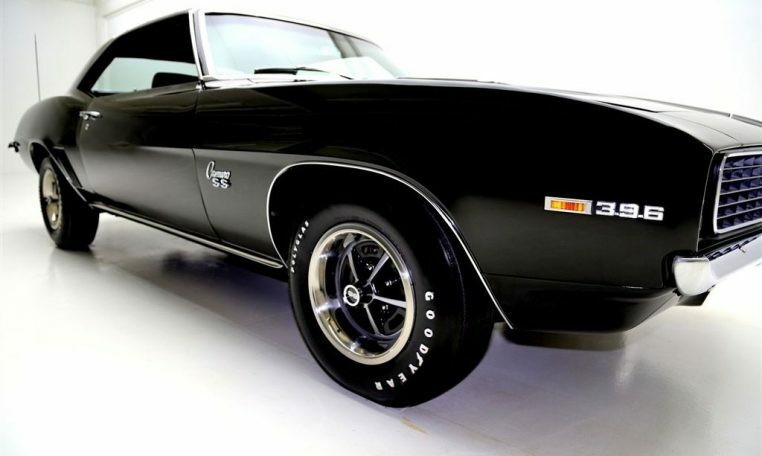 Jet Black 1969 Camaro With RS SS Options 396/375hp Engine, Built And Blueprinted By JE Prostreets, Automatic Transmission, 12 Bolt Posi-traction, Power Steering And Power Disc Brakes. Rolling On Chrome And Looking Good. 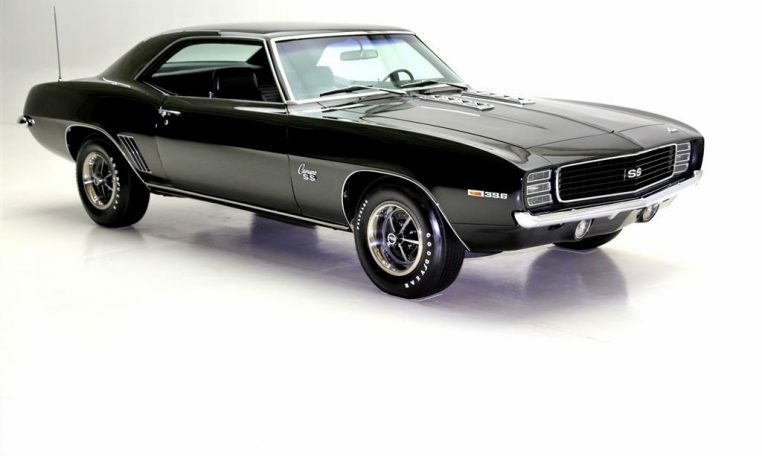 This Amazing 1969 Camaro Was Purchased From A Premier Collection Of Impeccable Muscle Cars And Has Been Showcased In A Climate Controlled Environment With Very Few Miles Since Owned. Awesome metal body with great panel fit and body lines. Bright work on the car show great with the majority being new or NOS. Very nice Black bucket interior with console tack and gage package. It has new carpeting, door panels, seat covers and head liner. 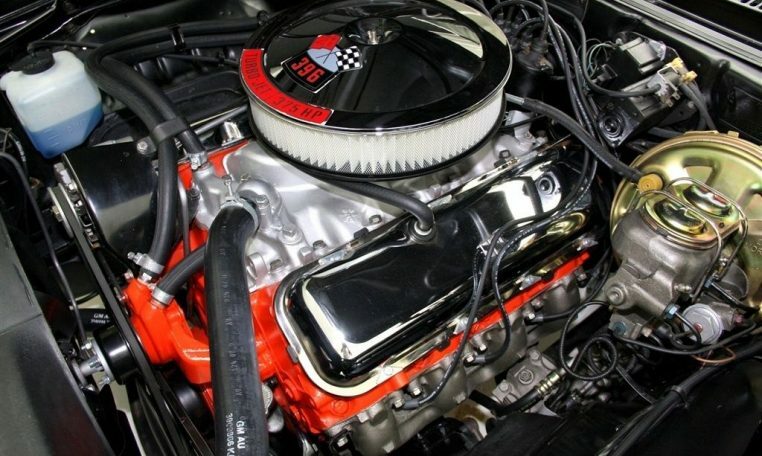 Performance built 396/375hp engine balanced and blueprinted by JE Prostreets. The block is a CE warrenty block stamped CE06485 and casted 3955272. Other numbers, carburetor 3959164-GE dtd 891, intake 3933168, distributor 1111499 dtd 8L15, alternator 1111837. 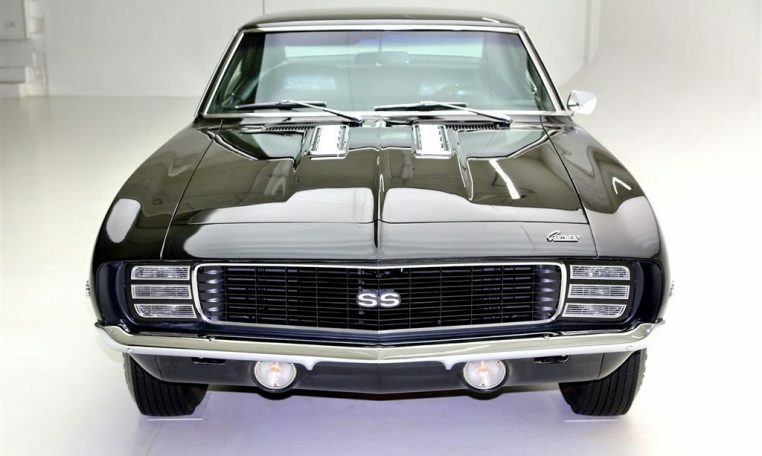 The car was built Jan 12 1969 prior to the X codes. This means there are a lot of date and number correct parts on this car. Transmisson is a numbers matching CX 400 turbo and the rear is coded BT 3:55 positive traction 12 bolt. Power options include power steering and power front disk brakes. Very solid and intact undercarriage, Solid and intact from bumper to bumper, Nice clean Frame, Great factory pinch welds and has most of the correct inspection markings. Rolling one a brand new set of SS wheels and Goodyear polyglass white lettered tires.